Designed specially for mummies and daddies too! The Mummy Hook is the perfect baby accessory holder. Built to last, lightweight and versatile. The Mummy Hook is made from durable, heavy-duty aluminium - it won't break like cheap plastic hangers. Use The Mummy Hook on your shopping trolley. Just snap it on and you're ready to roll! 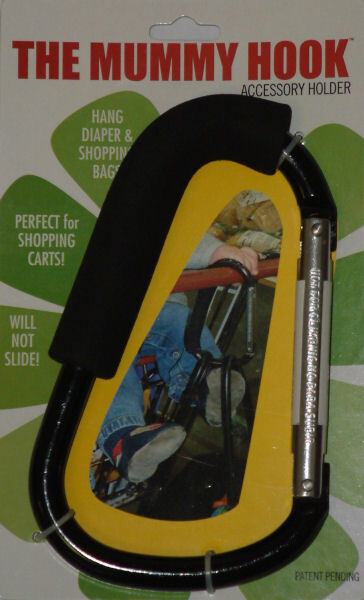 You can even use The Mummy Hook to carry bags from the supermarket to home. Won't slide due - foam strip holds it in place on the stroller or trolley. Click the button below to add the The Mummy Hook to your wish list.